You have pesky irritating acne all over your face. One goes and other pops out and this has been happening for quite a long time. If this is the case, you have landed on the right place. The article is all about the exclusive best homemade face mask to clear your acne. We have jotted down different varieties of DIY face mask for acne & its scars that you can prepare with home ingredients. 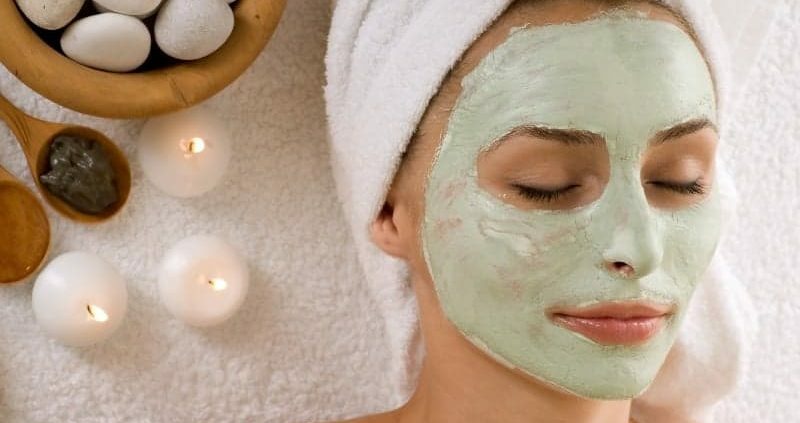 Believe me, if you carry out these homemade face mask recipes, surely you will benefit. So, scroll down to find the secret of a clear glowing face. There are a variety of acne face mask. All of them use different kinds of ingredients. So, choose the one for which you can get the ingredients easily. 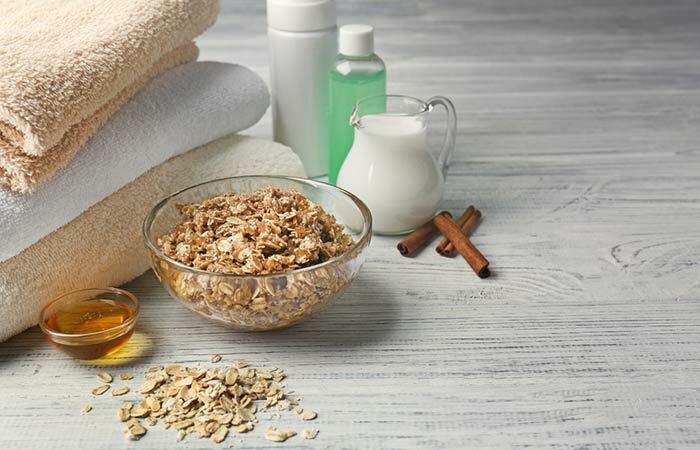 Oatmeal can help your acne as it contains saponins. These are the things that can remove dirt from the pores, the prime cause of acne. Oatmeal has anti-inflammatory and anti-oxidative properties too to heal the already present acne. Oatmeal has kind of rough texture so you have to mix it with coconut oil. The coconut oil has antibacterial and antifungal properties which makes it ideal to fight acne. Both the ingredients when mix together can give you an acne-free clear skin. 1. Take around 3 tablespoons of oatmeal. To it add 1/4 cup of warm water. 2. Mix them and form a paste out of it. 3. To the prepared paste, add 1 tablespoon of coconut oil. 4. Mix all the ingredients well and form a creamy consistency paste. 5. Apply the paste to your face and neck. 7. Rinse of the face with lukewarm water. 8. Follow this remedy daily until you get desirable results. 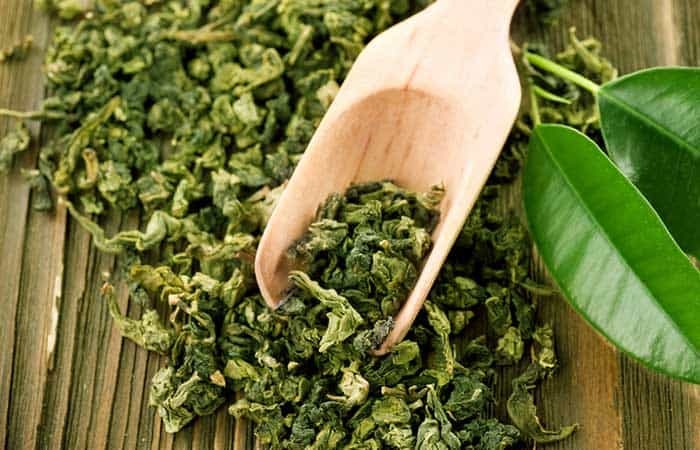 Green Tea has a very soothing effect on the skin cells. They help the skin to remain hydrated and reduce the inflammation caused by the acne. 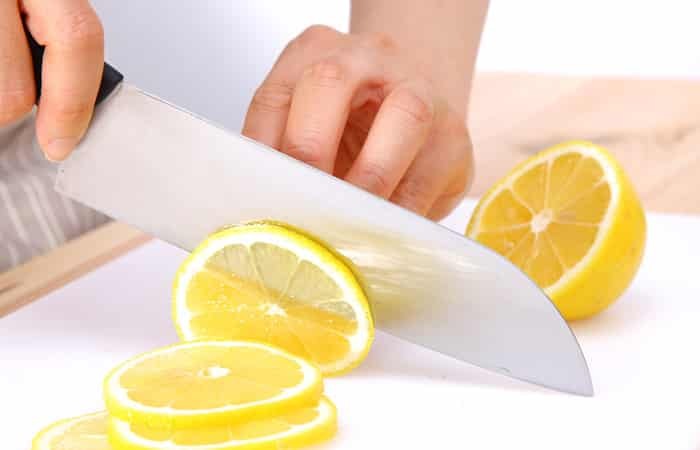 Lemon juice has anti-bacterial properties to treat your acne. Along with green tea and lemon juice, you have o mix honey, to make your mask hydrating. Honey is a powerful skin healing ingredient used for ages. It can provide the required moisture for your ace. All the ingredients together can help you remove the dead skin and dirt from your face and thereby stop acne. 1. 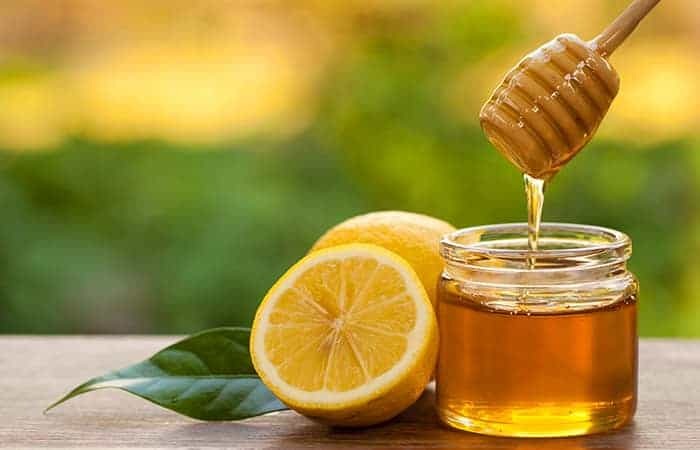 Take 1 tablespoon of green tea, 1 tablespoon of lemon juice, and 1 tablespoon of honey. 2. Mix all the ingredients well and form a creamy consistency paste. 3. Apply the paste on your face and neck. 4. Use your fingertips and massage in circular motions for good 3-5 minutes. 5. Be gentle while massaging. Don’t press any of the acne as it might cause the pus to come out and spread to other areas on your face. 6. Wash off with lukewarm water. 7. Carry out this remedy daily to get maximum results and an acne-free face. Turmeric is used from ages as a skin remedy as it has antiseptic, antibacterial, and anti-inflammatory properties. 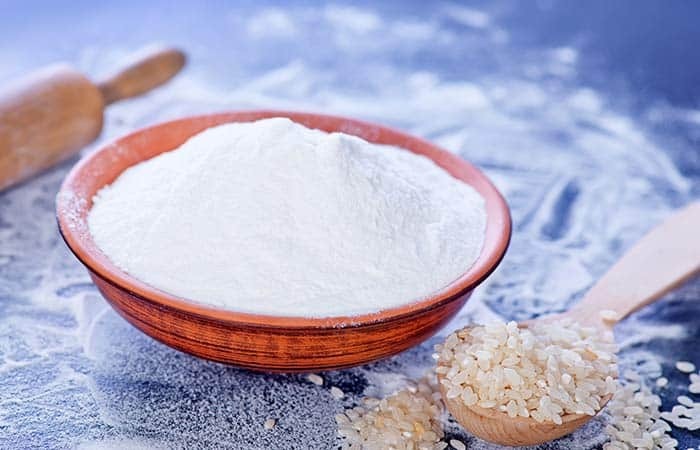 Same way, the rice flour has anti aging and oil-absorbing properties. This makes it good for oily or acne makes them good for oily or acne-prone skin. This makes it a very good skin lightening agent too. You have to mix yogurt too along with it. It will keep your skin calm and gives a soothing effect on those irritating acne as it has loads of lactic acid in it. 1. Take 1 teaspoon of turmeric, 2 tablespoons of rice flour, and 3 tablespoons of yogurt. 2. Mix all the ingredients well and form a paste out of it. 3. Apply a thick layer of paste all over your face. 4. Leave for good 15 minutes. 5. Wash it off with lukewarm water. 6. Carry this out daily preferably before going to bed to get good satisfying results. Aloe vera is very good for skin as it has two major hormones auxins and gibberellins with wound healing and anti-inflammatory properties. It can work effectively to cure your acne. 1. 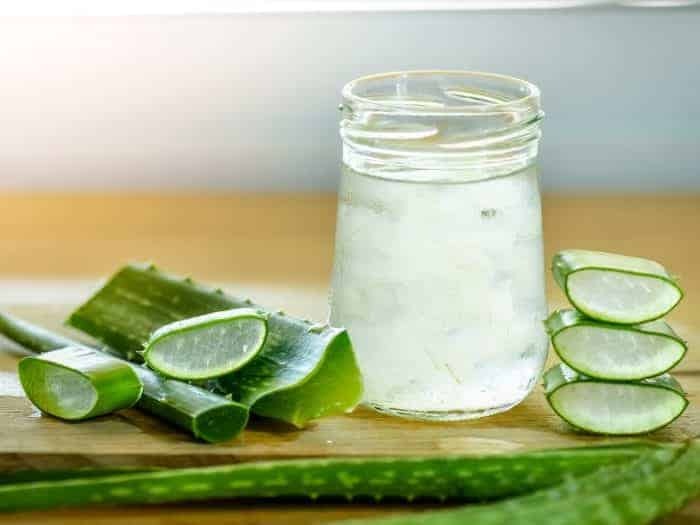 Take 2 teaspoons of fresh aloe vera gel or store bought one. 3. Mix everything well and form a paste. 4. Apply the paste all over your face and neck. 5. Rub it in a circular motion for few minutes and then wash it off with water. 6. Do it twice a day for desirable results. Apple cider vinegar helps to maintain the pH balance of the skin. Not only this it can provide the required hydration to your face and acts as a perfect toner. We have to mix it with honey which is also an antibacterial and anti-inflammatory agent. 1. 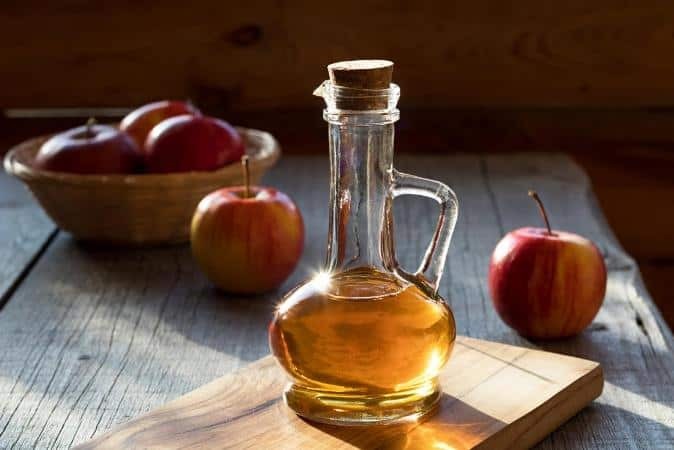 Take 2 teaspoons of Apple Cider Vinegar with 1 teaspoon of honey. 2. Mix them until a homogeneous mixture is formed. 3. Apply the mixture to your face and neck. 4. Massage it in a circular motion with your fingertips until it gets absorbed. 5. Wash it with lukewarm water. 6. carry this out thrice a week for good results. Egg whites have a large amount of protein. They can not only fight with your acne problem but can also reduce scarring caused by acne. 1. Take an egg, break it, and pour out the white from it. Make sure not to pour out the yellow part keep it intact. 2. Mix the egg white well. 3. Take any flat mouth makeup brush and apply the egg white all over your face. 4. Let it sit on your face for good 15 minutes and then wash it off. Next, apply a mild moisturizer as the egg whites are too dry. 5. Carry out this daily for good results. Neem Powder is excellent for curing several skin conditions. For acne, it retards the growth of acne-causing bacteria’s and also reduces the redness and inflammation caused by it. 1. Take 1 tablespoon of Neem powder. Add 1 tablespoon of rose water with it. 2. Form a paste out of it. You can add more rosewater if required. 3. Apply the paste to your face and neck. 4. Leave it for good 10 minutes and then wash your face with water. 5. Try this out on alternate days for beneficial results. Fuller’s earth is also called Multani mitti. It has the property to absorb all the extra oil from your face and thereby clean the clogged pores that cause acne. 1. 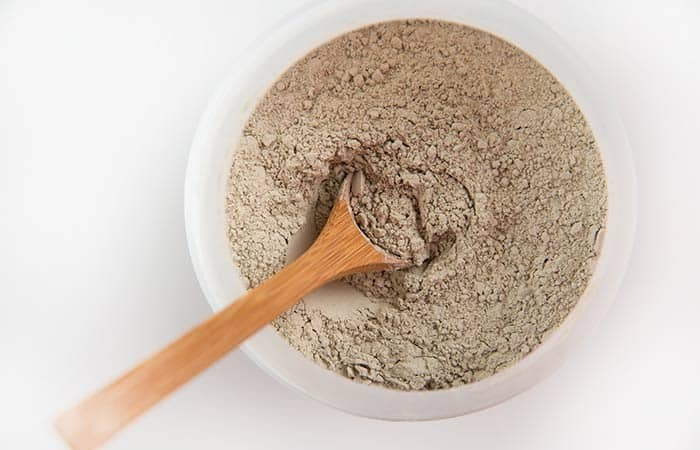 Take 2 tablespoons of Multani mitti in a bowl. 2. Mix 3 tablespoon of rose water with. You can increase the amount if required. 3. Form a paste and apply it all over your face. 4. Leave it for good 20 minutes or until is completely dry. 5. next wash your face with water. 6. Try carrying out this homemade mask daily for an absolute cure. 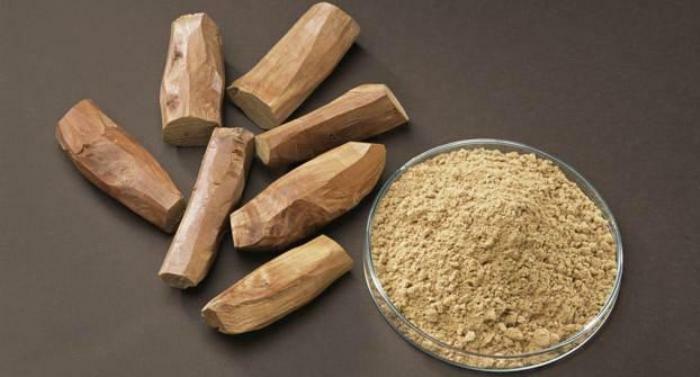 Sandalwood powder is used for ages for skin clearing and healing properties. it helps to reduce the skin breakouts, reduce inflammation, and prevent redness of the skin. 1. Take 2 tablespoons of pure sandalwood powder. Mix it with 3 tablespoons of rose water. 2. Form a paste out of the two ingredients. 3. Apply the face pack all over your face and leave it for 20 minutes. 4. Once it dries wash it off with plain water. 5. Try it out daily before going to bed for maximum benefits. Tulsi and mint both are powerful healing herbs. Tulsi has anti-bacterial properties to kill the acne-causing bacteria from inside. 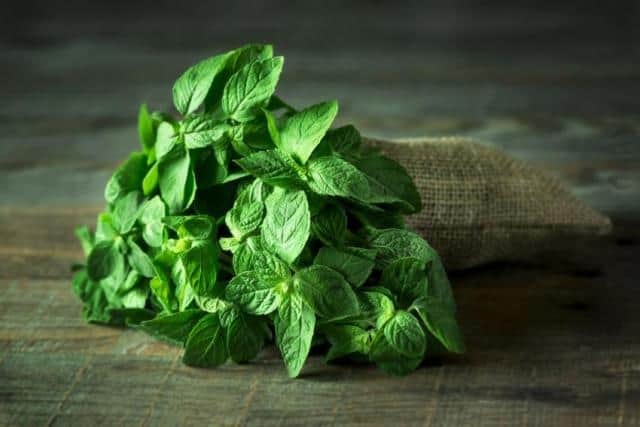 Mint has salicylic acid to cure acne and reduce their occurrence. 1. Take around 15 tulsi and 15 mint leaves. Wash them thoroughly. 2. Take a blender and make a paste out of the leaves using rose or normal water. 3. Apply the face pack all over your face and leave it for good 15 minutes. 5. Try it out on alternate days for maximum results. 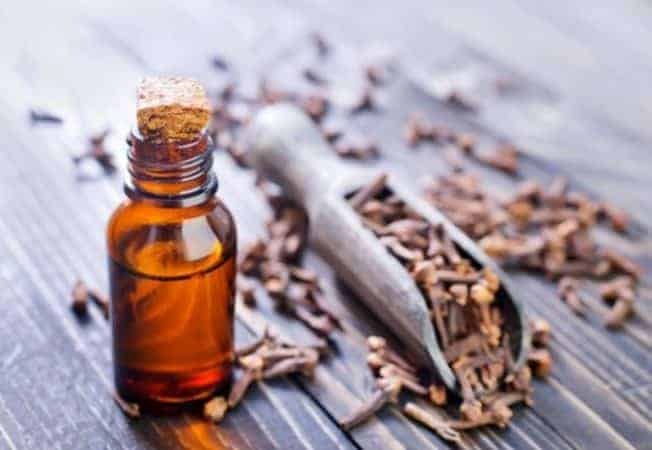 Clove has anti-bacterial and anti-inflammatory properties that can treat your acne. It also has the ability to cure the acne-causing bacteria. 1. Take a teaspoon of clove powder and mix it with 2 tablespoons of rose water. 2. Mix them to form a paste. 3. Apply the paste with the help of a flat makeup brush. 4. Leave it for 10 minutes and then wash it off with water. 5. Try it out thrice a week for maximum results. 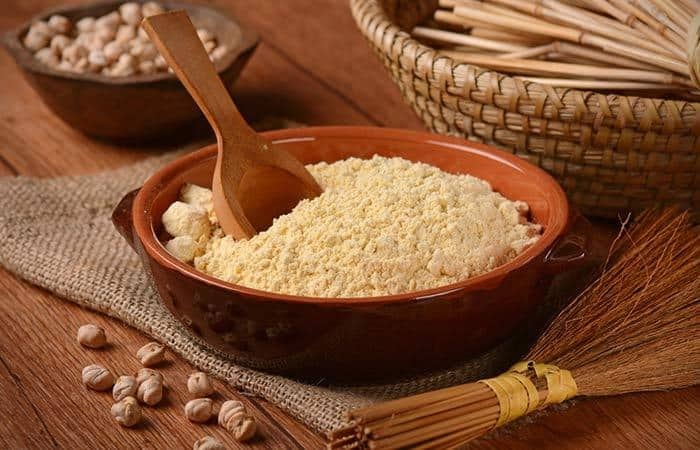 Gram flour has the ability to clean the pores from inside and making them free of dirt and toxins. Removal of toxins reduces the occurrence of acne. 1. Take 2 tablespoons of gram flour and add 3-4 tablespoons of milk or how much ever is required. 2. Mix the ingredients well and apply it on your face. 3. Rub your face gently for good 2-3 minutes. 4. Wash it off with plain water. 5. Do it twice a day for best results. Tomato juice is rich in Vitamin A. it can remove all the dead skin cells and thereby clear your skin of any infections or dirt. It works well for summers when acne is the biggest problem for you. 1. 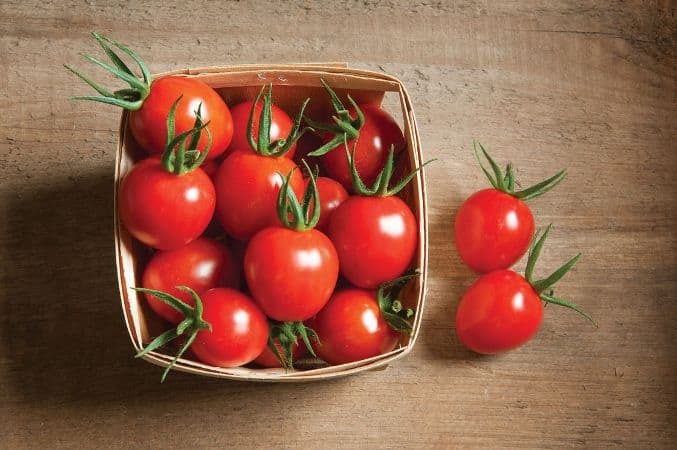 Take a tomato, mash it up and take out all the juice from it. 2. To the juice add 1 teaspoon of lemon juice. Mix it well. 3. Apply all over your face. 4. Gently rub the mask all over your face in circular motions for around 5 minutes and then wash it off with water. 5. Do it on alternate days for maximum results. 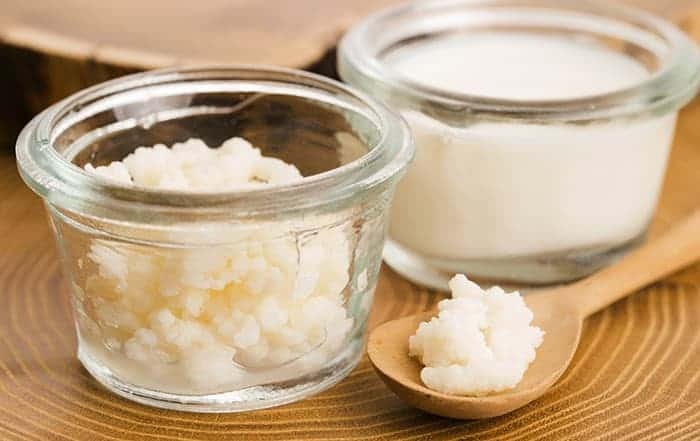 Kefir is a very good ingredient to exfoliate, hydrate, and soothe acne-prone skin. It has antibacterial, antiviral, and anti-inflammatory properties. You can add this to your daily beauty routine for a glowing acne free skin. 1. Take around 1/4 cup of kefir and mix it with 2 tablespoons of honey. 2. Mix them well and apply a very thin layer of face pack on your face. 3. Let it sit for good 15 minutes. 4. Once it gets dries wash your face with water. 5. Do this daily before going to bed for best results. Honey is a natural anti-bacterial and antioxidative agent. it can slow down the skin ageing process, clean your skin from deep inside, and give your face a clear glow. 1. take 2 tablespoons of raw honey. 2. Use a makeup brush to apply it all over your face. 3. Leave it for good 15 minutes and then wash it off with a mild face wash.
4. Do it twice a day to get the maximum results. 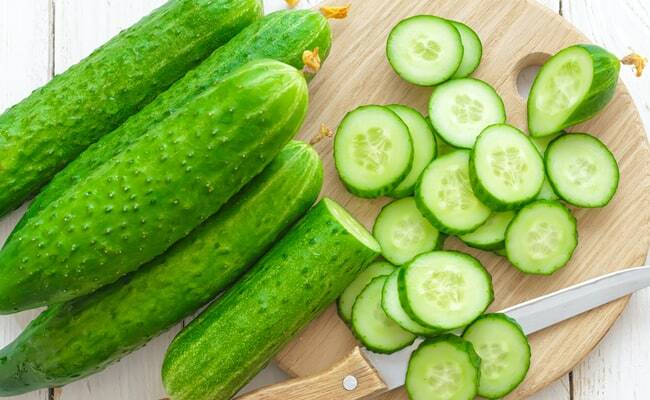 Cucumber has rich anti-bacterial properties which can fight for your acne issues. It also has lots of water to give your face the required amount of moisture. It is very helpful to calm and soothe your skin. 1. Take a cucumber wash it peel it off. Once peeled grate the cucumber and extract all the juice from the grated cucumber. 2. Apply the cucumber juice on your face before going to bed. 3. Leave it for overnight and wash your face with facewash next morning. 4. Do this daily before going to bed for best results. 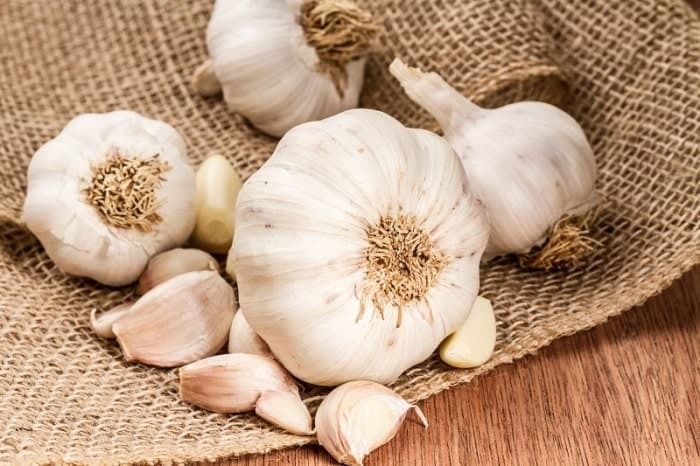 Garlic has antiviral, antifungal, and antioxidant properties. It can cure pimples effectively. however, you need to mix it with honey to give your mask a creamy consistency. 1. Take few garlic cloves and make a paste out of it. 2. To the paste add 1 teaspoon of honey and mix them well. 3. Apply the prepared mixture on your face and neck. 4. Leave it for good 15 minutes and wash it off with face wash.
5. Prefer applying the moisturizer as garlic leaves a smell even after washing. 6. Do it twice a week for better results. This homemade face mask is to cure a pimple overnight. 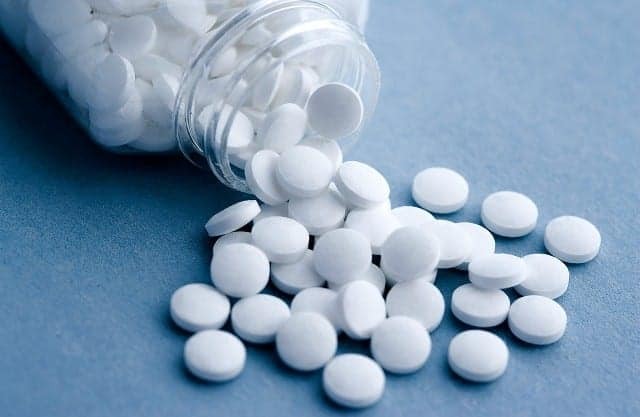 Aspirin has properties to fight the inflammation, redness, and itchiness caused due to pimples. It is an absolute instant cure for an aching pimple. 1. Crush a few aspirin tablets. To the crushed powder add few drops of water and make a paste out of it. 2. Apply the paste to your face. 4. Wash it off with water and do it whenever you get a big painful pimple or acne. A small lemon can do wonders for your pimple. it can remove the excess oil from the pimples and remove the swelling, redness, and itchiness from it. it is very effective for pimples. however, you will feel a tingling sensation after applying it. 1. Take a fresh lemon. Squeeze out the juice from it. 2. Apply the juice on your face and leave it as it is. 3. You can do this especially before going to bed. Leave the paste on your face overnight for maximum results. 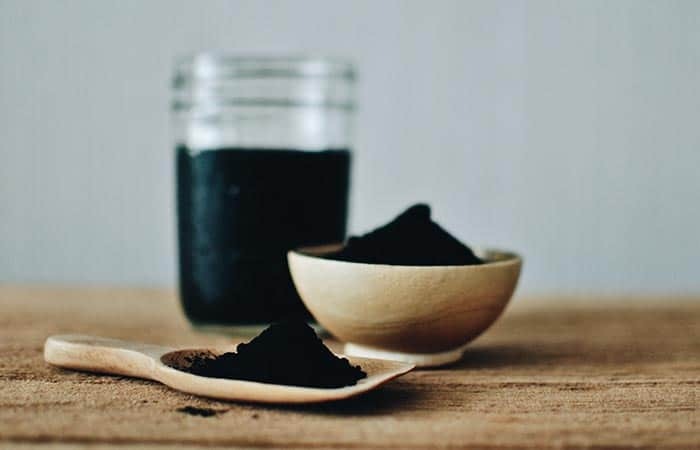 Activated charcoal is ideal to clean the pores and remove the root cause of acne. It deeply cleanses the skin. It is more of a DIY homemade peel off mask. With this mask, you will not only reduce your acne, but also get rid of whiteheads, blackheads, and dead cells from the skin. 1. Take 1/2 a teaspoon of activated charcoal, 1 tablespoon of gelating, and 3-4 tablespoons of distilled water. 2. Mix all the ingredients well until a smooth paste is formed. 3. Apply the paste using a flat make up brush all over your face. 4. Wait for good 15 minutes or until the pack dried up. 5. Once dried pull off the mask slowly with your hand and then wash your face with water. 6. Do this once a weak for good results. Nutmeg has many anti-inflammatory properties will help reduce the sight of pimples. Not only this, the stimulating properties will certainly wake up dead skin cells and help those no-so-fine lines around your mouth fade. It can also cure the acne scars and suntan of your face. 1. Take 1 teaspoon of nutmeg powder and mix 2 tablespoons of milk with it. 2. Make a paste out of both the ingredients. 3. Apply the paste all over the affected areas and leave it for 10 minutes. 4. next wash it off with water. 5. Do this morning and evening until your skin clears. Pomegranate seeds have antibacterial properties and also few ingredients that can cleanse the skin from its follicles. 1. Take a teaspoon of pomegranate seeds. Make a paste of the seeds using water or rose water. 3. Rub it gently in circular motions for good 10 minutes. 5. Carry it out daily after getting up for desirable results. 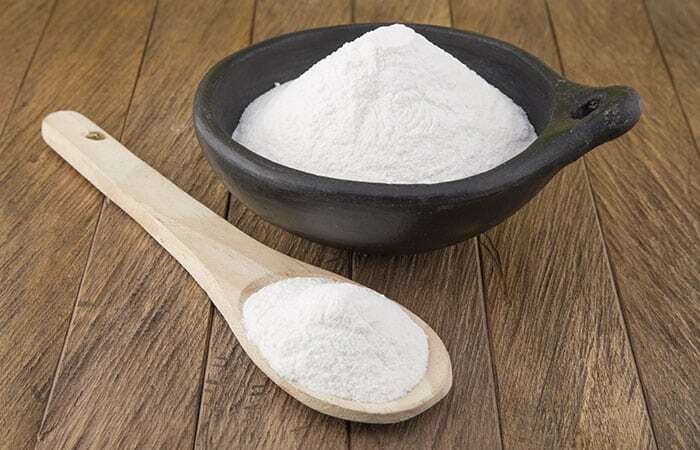 Baking soda has anti-bacterial and anti-inflammatory properties. It can dry up all the excess oil from your skin which is the main cause of a pimple or acne. Not only this it can exfoliate your skin too by clearing off all the dead skin cells. 1. Take 1 teaspoon of baking soda and add 2 tablespoons of water to it. 2. Form a paste with both the ingredients. 3. Apply it all over your face and rub it in gentle circular motions for good 5 minutes. 4. Do it daily before going to bed as it will remove all the dirt accumulated on your face during the day. Grapes is an excellent cleanser. It can remove dirt, toxins, and the bacteria’s from the pores. 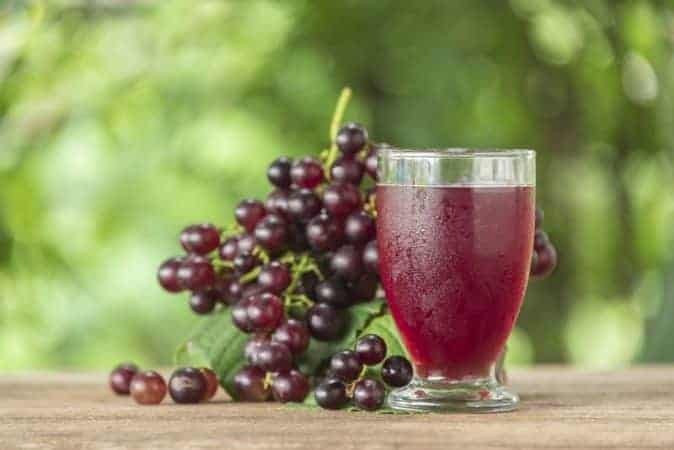 It has antioxidants that can also treat the acne scars. More off, it can also reduce the occurrence of new acne. 1. Take 10 grapes, mash them up, and form a paste. 2. Apply the paste all over your face. 3. Leave it for ten minutes and then wash it off with water. 4. Do it daily for best results. Green tea powder has lots of antioxidants, an anti-microbial agent, and anti-inflammatory properties. It can kill the bacteria’s that cause acne on your face. In addition to this, it can also reduce the skin ageing process. 1. Take a teaspoon of green tea powder and add 2 tablespoons of rose water to it. 2. Form a paste using both of them. 3. Apply the paste on your full face and leave it until it completely dries. 4. Do it thrice a week to get best results. 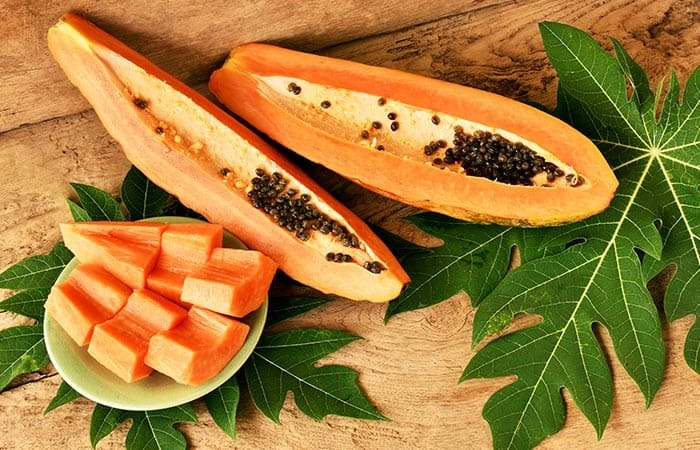 Papaya has exfoliating properties. It can clear the dead skin cells on your face that cause pimples, acne, and make your face look dull. You have to mix papaya with yoghurt to increase the benefits. Yoghurt has lactic acid that will hydrate your skin. 1. Take few slices of fresh papaya. Mash it up and mix it with 2 teaspoons of yoghurt. 2. Mix them well and form a homogenous mixture. 3. Apply it all over your face and rub it gently in circular motions. 4. This will increase the blood circulation on your face and make your skin healthy. 5. Do it daily for good results. 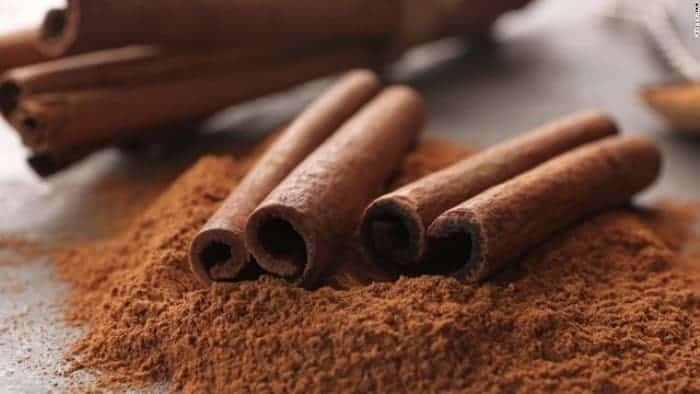 Cinnamon has anti-bacterial and antiseptic bacterias. it is used widely for treating acne. 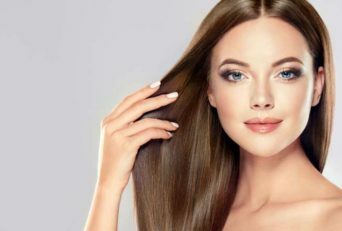 You have to mix it with honey to prepare a healthy homemade skin pack. 1. Take a teaspoon of cinnamon powder. To it add a teaspoon of honey. 2. Mix them well to form a homogenous mixture. 3. Apply the mixture to your face and leave it for good 15 minutes. 4. Wash it off once the pack dries completely. 5. Carry it out thrice a week for best results. We should always take good care of our skin to get rid of acne issues. 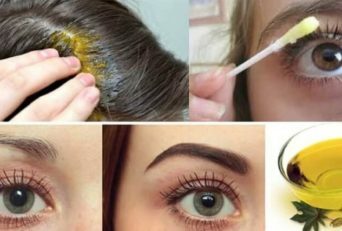 The DIY homemade face masks mentioned above can be used by anyone of you irrespective of the acne issues. These masks are extremely beneficial for access and with time can definitely give you a flawless clear glowing skin. However, if you feel any discomfort or irritation immediately wash off your face, it might be because the ingredient does not suit you. It is always important to take care of your skin and treat the issues on time. 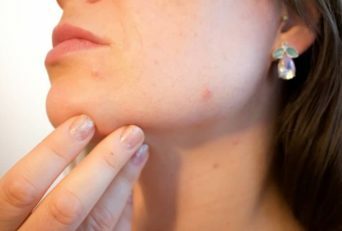 It is because if acne is not treated it can turn into cystic acne which is painful and takes a very long time to cure completely. If your acne is reoccurring and has left scars, you should try out any of this homemade face mask regularly to get an optimum cure. How To Get Dimples On Cheeks ? How To Get Rid Of Dark Skin Around Lips And Chin?